Underwater drones allow you to descend into the mysterious depths of our planet’s great lakes, seas and oceans. They are fully equipped with camera equipment so that you can see and record everything that these little unmanned submarines encounter on their adventures. The idea of having our own submersible drone has always been a dream for many us and thanks to technological advances – the dream is now becoming a reality. However, as you will see from the price tags, they are not very affordable (for now!). Lets take a look at the best underwater drones that are available in 2018. 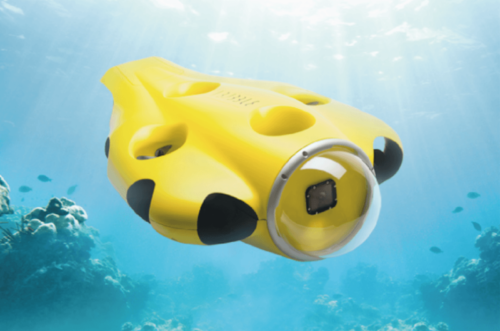 The iBubble underwater drone is the first hands-free underwater drone of its kind. The diving drone is designed to follow you while you’re underwater, capturing amazing and high-quality footage without any operation on your part. iBubble claim to having made the first intelligent, user-friendly and completely autonomous diving drone. It gives you unprecedented possibilities to create underwater movies with sports camera like the popular GoPro. 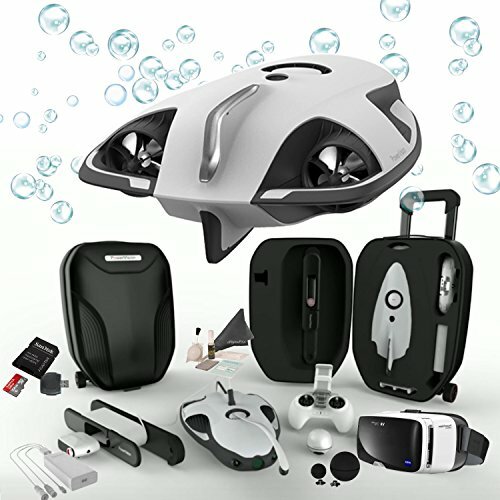 The iBubble is the first underwater drone developed specifically for scuba divers. About the size of a lifeguard’s flotation device, the iBubble will quite literally follow you around like a dog on your dive, recording not just the dive site, but also you and your buddies as well. The operator wears a bracelet so the iBubble knows who to follow. You can also use the bracelet to call the drone to you if you want to use it as a camera, or if you need to surface. The drone can move up to 80 feet (25 m) away from divers. The DTG2 is designed with the Deep Trekker patented pitching system for unmatched maneuverability. An internal HD camera, with a 330 degree field of view so you can inspect below, above, behind or in front of you, and see the live feed directly to your hand held controller. It has a forward speed of 2.5 knots, with depth ratings of 100 m and 150 m, this tool is ideal for underwater inspections in your tough environments. The DTG2 claims to be one of the easiest to maneuver. The basic model, called the DTG2 starter, will take you to 165 feet (50 m) with its tether and features a 700 ppi camera. The advanced model, the DTG2 Smart, features a 246-foot tether (75 m) and features such as depth and pitch sensors. Trident is designed for use by boaters, scuba divers and in underwater exploration. Every aspect of the Trident design has been painstakingly thought out in order to optimize performance and usability in any situation. One of the secrets of its versatility is the unique, hydrodynamically offset thruster design. This configuration allows you to move through the water fast and efficiently when you want to rapidly search an area or run a transect, but also allows you to maneuver very delicately when in tight quarters or while looking at a particular target. By taking advantage of drag’s exponential relationship with velocity, the off-center vertical thruster of the ROV can cause it to pitch at high speeds but also hover or change depth without pitching while operating at low speeds – similar to the way a traditional ROV works. 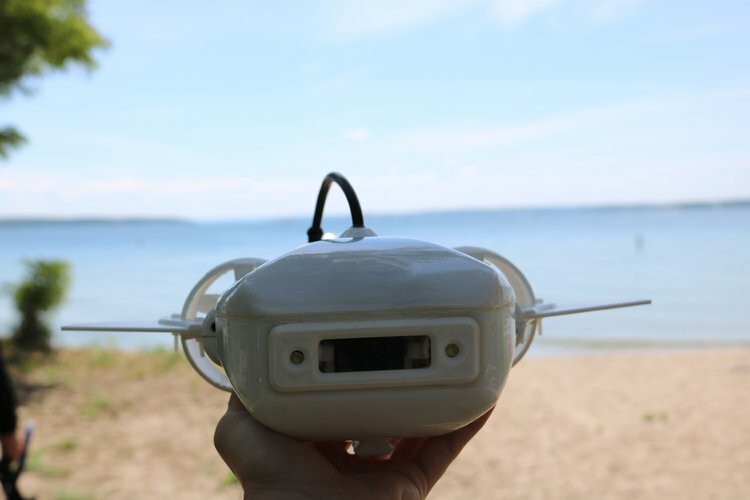 It uses a neutrally buoyant tether to communicate to a towable buoy on the surface (radio waves don’t travel well in water) and the buoy connects to the pilot using a long range WiFi signal. Using a wireless towable buoy greatly increases the practical range of the vehicle while doing transects and search patterns since a physical connection between the vehicle and the pilot doesn’t need to be maintained. You can connect to the buoy and control Trident using a tablet or laptop from a boat or from the shore. The Fathom ONE has retail price of only $600, so it’s the cheapest underwater drone to make our list! It’s simple, but it’s also versatile. At the heart of the Fathom One lies its modular thruster attachment system. All three of the Fathom One’s thrusters (two on the sides + one on the rear) clip on and off, allowing you to easily customize, upgrade, or pack your device. This also means you don’t have to limit yourself to the thrusters we provide. If you want to develop custom thrust modules, go ahead and design them for a completely unique experience. They plan to roll out an entire line of thrusters and accessories, because they know the real innovation happens when you, the explorer, build your own! The Fathom One also features an integrated rail system that allows you to attach action cameras, extra lights, and additional sensors with ease. We can’t wait to see some of the setups you create using our platform as a foundation. No matter what the application, the Fathom One can be tailored to fit your needs. Fathom One comes with a 100-foot line that tethers it to a custom floating buoy, allowing for easy retrieval. Our buoy creates its own WiFi network, enabling wireless piloting and live HD video streaming to any Android or iOS smart device via our app within a 100 foot radius. That’s down to 100 feet deep from up to 100 feet away, standard. The SeaOtter-2 has many of the same features of the SeaLion, but is not as powerful. It is best suited to working in areas with low to medium currents. This ROV also has front and rear facing color cameras with pan and tilt. Illumination for the front camera is provided by two very bright 2200 lumen LED lights on ROV Lighting for the rear camera is provided by a ring of high intensity LEDs. The SeaOtter-2 has a 500 foot depth rated housing and comes with 250 feet of cable. System controls are cleanly laid out in a high impact waterproof case with an ultra bright 10.4 inch flat screen monitor built into the lid. Command of the ROV’s thrusters, cameras, and lights are managed with a compact hand-held controller. The HydroView is a remote controlled underwater vehicle that records live video and captures still photos in high definition. With Aquabotix’s innovative iPad or laptop applications, anyone can fly the HydroView through the water with no formal training. Watch the HD video feed to inspect or explore, record the video to share with others, or document findings and capture still images along the way. 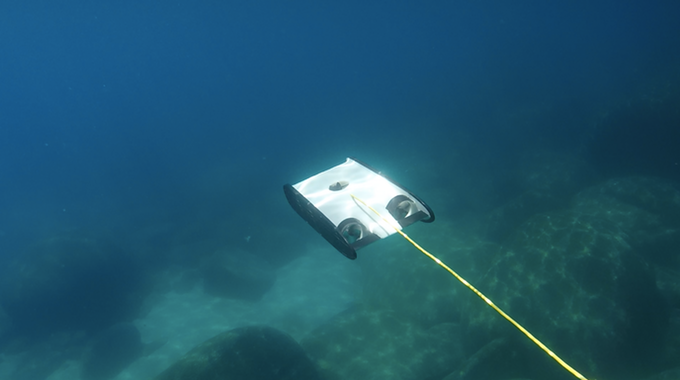 BIKI is the world’s first bionic underwater drone that is also the only underwater robot featuring automated balance, obstacle avoidance, and return to base. By supporting a 4K camera, BIKI presents you with the best view from underwater. BIKI, the smallest but strongest. 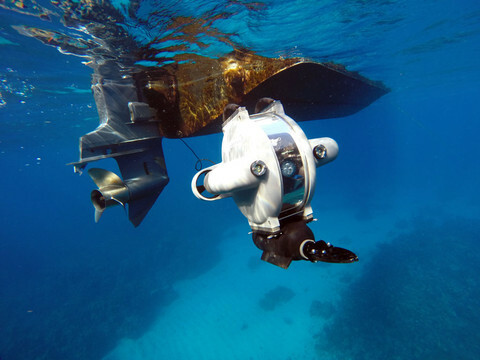 Through this intelligent robot fish, you can visualize the underwater world from a completely new perspective. BIKI is not only an almighty underwater drone but also a robot pet full of emotions. Now, just tell BIKI what you want to do! Explore and capture photos and incredible 4K video of the world beneath the surface–from the comfort of your boat–with the PowerRay Wizard Underwater ROV Kit from PowerVision. This bundle includes the PowerRay vehicle and base station, a wireless transmitter/controller, batteries and chargers, and a 64GB memory card. Additionally, you get a generous 210′ tether, along with a PowerSeeker Fishfinder and bait drop line. 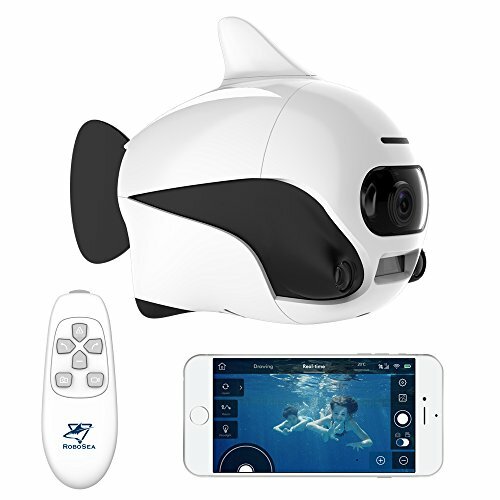 And to top it all off, you’ll enjoy a pair of ZEISS VR ONE Plus Goggles, which work with your smartphone to enable access to immersive, real-time, streaming 3D video from below the surface–so you can feel as though you’re actually riding inside the ROV. The contents of this versatile kit can be neatly stowed and easily transported in the supplied, wheeled carrying case.